This luminous piece is created from a portion of a compact disc. It's been hand dyed, stamped, and embellished into a stunning work of art. 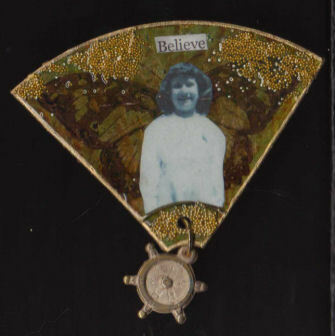 It also includes a tiny Cracker Jack ships wheel to aid you in following your dreams.